Last we heard, LG’s next flagship was going to be announced during either MWC or later in March. What most of the reports do seem to agree on, though, is the phone will launch in April. 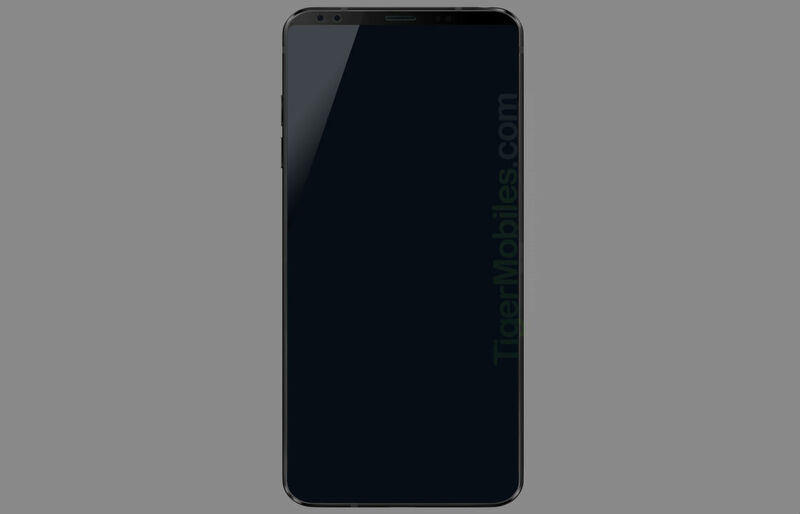 Naturally, none of this has been confirmed by LG, but we’re now seeing renders of the supposed device start to the hit the web. For sanity’s sake, we’ll go ahead and label this as the G7, even though reports have stated LG has been planning on a rebrand for the G lineup. With that said, the above image is said to be the G7’s frontside, complete with an all-display front, dual front-facing cameras, and that’s it. Seriously, it looks like nearly all display with hardly any bezel. Along with the image, Tiger Mobiles shared a few possible specs, including dual rear-facing cameras, Snapdragon 835 processor (which would be disappointing considering the SD845 has been made official, but wouldn’t be the first time LG has used an older processor – ex: G6 came with a SD821), 6GB RAM, and Qualcomm’s Quick Charge 4.0. LG, you best bring the heat this year or we’ll be in for another year of Samsung dominance. Is This the Galaxy S9's Retail Box With Specs?